A confluence of old and new worlds in the Lone Star State’s capital. If you’re reading this, expecting to make your way down to Austin for South by Southwest this year, you’re too late. The annual festival—featuring the latest in music, tech, film, and comedy—engulfs the city for 10 days in March, making booking a room an exercise in futility. Luckily, Austin’s appeal extends far beyond the SXSW horde. Home to the University of Texas, Austin has long held a reputation as something of a liberal, free-thinking outlier in a gun-totin’, red-blooded state. The saying “Keep Austin Weird” harkens back to a time when demonstrators marched on the state capitol to protest the Vietnam War and musicians cranked out tunes in a cloud of (ahem) smoke. As surrounding towns maintained a conservative identity, the seat of Travis County held true to its own sensibility. To paraphrase favorite son Matthew McConaughey’s character in the Austin-set film Dazed and Confused, Texas kept getting older, but Austin stayed the saaame age. That mindset has begun to shift in the past two decades, but when I visited, it seemed that both old and new Austin have found a way to peacefully coexist. That weird spirit that longtime residents hold dear still hovers over the city, as evidenced by the music festival—there always seems to be one—I stumbled upon where I spotted a grown man wearing a tutu at an armadillo petting pen. The old country saloons outsiders envision when they think of a Texas watering hole still exist as well. To understand that vibe, visit the Broken Spoke, a lively honky tonk that’s been around for more than 50 years and hosted a panoply of country greats—George Strait, Roy Acuff, George Jones, Dolly Parton, and of course, Willie Nelson. 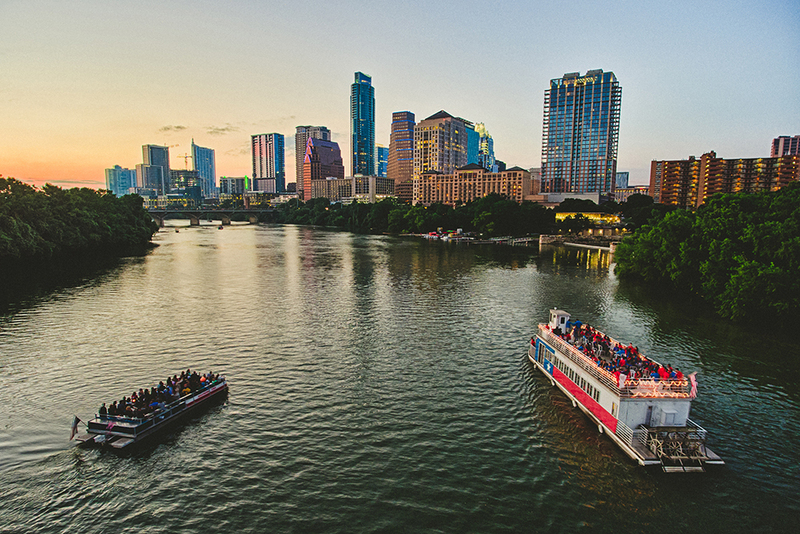 But Austin has experienced an influx of youth and cash brought on by the rise of tech industries, adding a hip, modern feel to the funky city. A walk down South Congress Avenue shows the melding of the two worlds. Penniless guitar players croon outside of taco trucks, Italian cafés, and local staple Amy’s Ice Creams, while stylish twentysomethings bounce between boutiques and used bookstores. And everyone is wearing cowboy boots. If you want to fit in, stop by Allens Boots, even if you can’t afford the $1,000 Luccheses. Where hipsters go, artisanal, hand-crafted restaurants, food trucks, and brunch spots follow, with menus ranging from Tex-Mex to modern Japanese. Once you dip into the barbecue vortex, though, it’s hard to escape. Texas has a rich history of smoking meat and a handful of well-established pits still hold up, but the next generation of smokers has perfected the form. 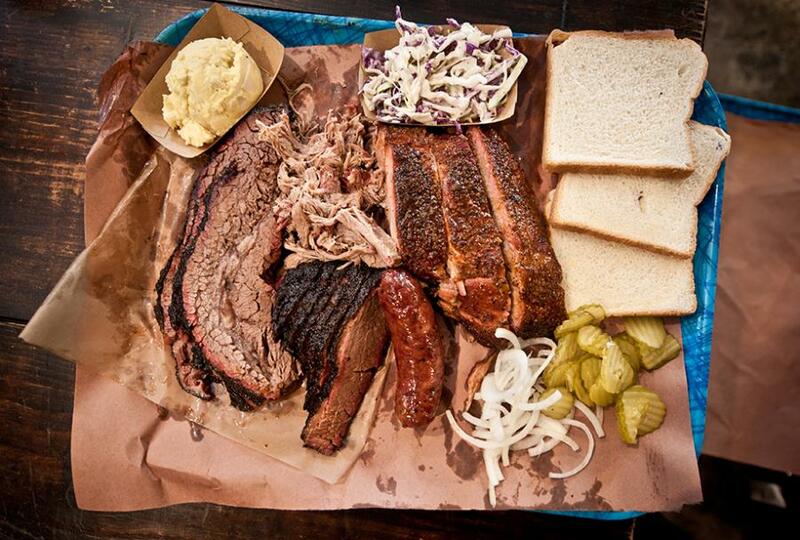 Whether you find yourself salivating over the femur-sized beef rib and lemon-infused coleslaw at Micklethwait Craft Meats, the smoked sausage and pulled pork at La Barbecue, or the brisket at Freedmen’s, it’s all part of a meat-sweat-and-food-coma-inducing wonderland. The crown jewel, though, is Franklin Barbecue. The lines are notoriously long, so my girlfriend and I came prepared with a blanket, empty travel mugs, and bottles of champagne and orange juice, then set up shop alongside dozens of our fellow carnivores in the parking lot at 10 a.m. on a Tuesday for a restaurant that doesn’t start serving until 11 a.m.
We made it inside by noon, where its bare bones, old-school feel belies the fact that it’s only five years young. At 12:30, we reached the counter, where we dropped close to $100 on some of everything. Despite anticipating the best brisket in the world, that fatty slab and everything else piled on our cerulean trays somehow exceeded all expectations. Like many new Austin establishments, Franklin improved on something that many places did well, while paying respect to Texas’s history.